You probably wouldn’t really want to find yourself in Game of Thrones in real life, as the likelihood that you’d die is quite high. But for those who are a fan of the show and/or George R.R. Martin’s A Song of Ice and Fire book series, comparatively safe Game of Thrones-inspired vacations are still an option. Travel company Zicasso offers a variety of Game of Thrones-themed tours, including one of season six filming locations. This 12-day tour through various locations in Spain includes stops in Girona, a.k.a. Braavos, where Arya gets her training at the House of Black and White. Also on the docket is Alcazaba of Almería, a Spanish fort that stands in for season six’s Dornish shenanigans. For those who pledge fealty to Daenerys, the First of Her Name, Queen of Meereen, Queen of the Andals and the Rhoynar and the First Men, etc., day 10 of the tour makes a stop in Osuna, Spain’s Plaza de Toros, a bullring that doubles as the Fighting Pits of Meereen. Flying on a dragon costs extra. Dany fans can also visit the Azure Window in Gozo, an island situated a short ferry ride away from Malta. A natural limestone arch that’s also a popular location for scuba divers, the Azure Window served as the unnamed locale in season one where Daenerys and Khal Drogo (RIP) got hitched. Dany probably won’t be going back there, as the fake sand used to bring the location up to snuff caused major damage to the local environment. Also part of Zicasso’s season six tour is southern Catalonia’s St. Florentina’s castle, a.k.a. Castell de Santa Florentina, a.k.a. Horn Hill, the house seat of the Tarly family. Game of Thrones viewers were recently introduced to the Tarly family patriarch, Samwell’s cruel father Randyll, in a less than happy meet-the-parents interlude in the season six episode “Blood of My Blood.” Guided tours can also be arranged directly through the Castle’s website. For those with more of King’s Landing bent, there’s Fort Manoel in Gżira, Malta, which doubled in season one’s penultimate episode “Baelor” for the Sept of Baelor. You know, the place where Ned Stark got his head chopped off. Poor one out for good ol’ Ned. Vaes Dothrak, the sole city of the Dothraki, gets some of its epic je ne sais quois from Northern Ireland’s Morne Mountains looming in the background. Specifically, the Vaes Dothrak season one scenes were filmed in the area known as Sandy Brae. Another Zicasso tour leads fans through various Game of Thrones filming locations in Croatia, with a day and a half devoted to the ancient city of Dubrovnik, primary site of King’s Landing exterior shots for seasons two through five. The city’s walls serve as the backdrop for season two’s Battle of the Blackwater, where King Joffrey’s forces squared off against those of Stannis Baratheon. There’s also Lokrum Island, site of a memorable confrontation between Cersei and Petyr Baelish in the season two premiere (“Power is power”) as well as a shooting location for the city of Qarth. For Tyrell fans, there’s also the Trsteno Arboretum, which stands in for the gardens of King’s Landing, where Lady Olenna, the Queen of Thorns, likes to hold court. In the real world, the Belvedere Atrium is part of the distinctly non-fantasy-looking Belvedere Hotel in Dubrovnik, which was destroyed in 1991 as part of the Croatian War of Independence. In the Thrones-verse, it’s the place where Tyrion Lannister’s trial for the murder of King Joffrey culminated in a fight to the death between Oberyn Martell and Gregor “The Mountain” Clegane. Assuming you’ve recovered enough from that distinctly emotional scene, why don't you pay it a visit?. 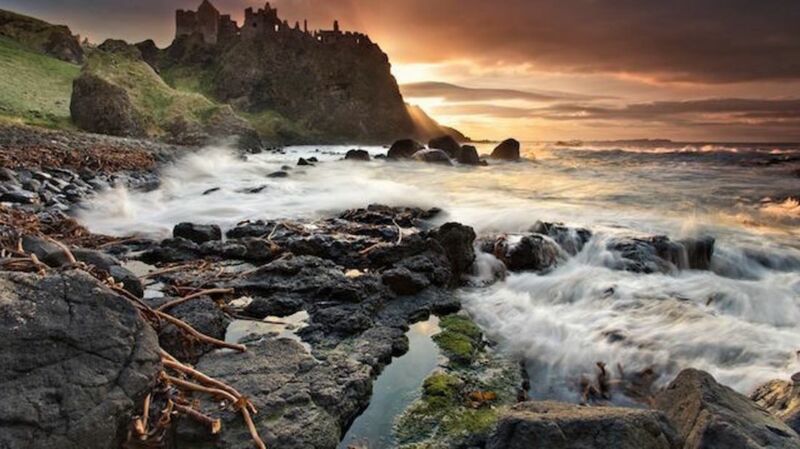 Game of Thrones Tours offers excursions to Belfast and Dublin-based filming locations. Key among those is the Castle Ward Estate, where the castle and stableyard are the real-world counterparts of Winterfell, seat of House Stark (well, House Bolton, now). The site of Robb Stark’s Riverlands camp and one of the two towers that make up Walder Frey’s castle, a.k.a. the “Twins,” are also nearby.